Endorsed by celebrities and health nuts around the world, the juice cleanse has become the latest trend in today’s era of fitness and organic eating. What exactly does it entail? The idea is to flush out unwanted toxins from your body and to pump in raw, easily absorbable nutrients in juice form. Though variations exist, the most common method is fasting for one to three days, drinking nothing but juice every three to four hours. To experience its effects firsthand, I decided to take up the challenge for one day. For my trial, I selected the Just Juice Total Cleanse pack from Organica, the first juice detox program to be launched in Korea. The set is carefully designed to maintain blood sugar and energy levels throughout the day, providing an influx of vitamins and minerals from various different combinations of fruit and vegetables. I kicked off the morning with a hearty swig of Green Love, the first of the six bottles I was to down that day. True to its name, the juice boasted a ripe shade of green with kiwi, apple, cucumber, spinach and melon -- an assortment of vegetables and fruits low in acidity so as not to upset the sleepy stomach. The sweetness of the melon, the zest of the kiwi and the freshness of the cucumber all came together in an invigorating wakeup dose. Pushing aside the instinctive urge for a large latte with extra syrup, as per my usual morning routine, I drained the bottle. Shortly afterward, I began to feel a slight gurgling sensation in my lower stomach, as if my intestines were jumping to action from the liquid and fiber. Two hours later, I wearily popped open the pinkish-red bottle of Berry Slim, a vitamin-filled drink with strawberry, cranberry, apple and apple vinegar. My hesitation began to fade, however, as I happily gulped down the delicious solution. Much healthier and more flavorful than your average strawberry juice, this, I told myself, is something I would love to drink every morning. As the clock struck 1 p.m., my colleagues returned from lunch, stuffed. I smiled ruefully, waved and twisted the cap off Green Up, the third and greenest juice of the day, containing celery, kale, spinach, cucumber, ginger and melon. Though many might be intimidated by the leafy contents, the juice is refreshing and easy to drink, nicely complementing the sweetness of the previous bottles. After a good three hours of enhanced productivity, it was time for the bright yellow Skinny Line. Those familiar with the Lemon Detox will recognize the ingredients in this mixture: lemon, apple and cayenne pepper. The juice tastes like a more flavorful lemonade, and the sourness of the lemon and kick of the cayenne instantly stimulated my senses and sped up circulation. At this point, I began to tangibly feel the effects of the cleanse. I was not overcome by my habitual afternoon drowsiness. My mind was more alert, my body felt considerably lighter and even my mood lifted as the day went by. What is more, the hunger pangs that I had been expecting did not come, as the fiber and substantial size of the juice servings left me feeling satiated. Healthy snacks like granola bars or sweet potato sticks, of course, can supplement the cleanse if needed. Next in line was Root Heart at 8 p.m. A vivid crimson color and lush with beet, carrot, apple, lemon and ginger, this rich blend was as tasty as it looked and invigorated my system for nighttime activities. Feeling more lean and energized than I had in months, I followed up with some light stretching exercises to maximize the detox results. Finally before bed, I took Chia Coco, a creamy concoction of coconut water, yam, chia seeds, flax seeds and acacia honey, and the last bottle in the routine. Soothed and nourished, I dozed off after what had been a surprisingly pleasant day. 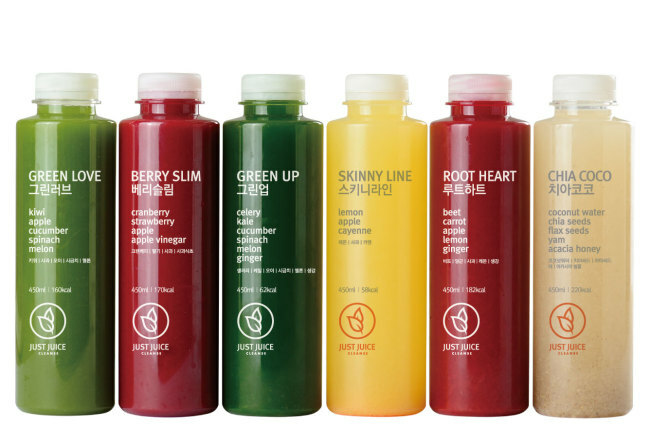 There are many conflicting views regarding the juice cleanse. Skeptics say it is based on little scientific proof. Defenders claim it allows your entire digestive system to reboot by relieving your stomach of the laborious task of breaking down food. A cleanse can help boost your immune system, they say, because only the purest, most concentrated forms of nutrients are infused into your body. Others are drawn to the weight-loss effects, while some even report alleviated depression. The biggest caveat, possibly, is that detoxing should not be seen as a quick-fix diet or a means to legitimize yesterday’s guilty late-night snack; rather, it should offer a kick-start to a durable plan of healthy living. Fasting is by no means crucial -- juices can simply serve as refreshing snacks or a good way to incorporate extra servings of greens into your everyday meals. The bottom line is, as with any structured dietary regimen, the juice cleanse should be carried out with careful nutritional guidelines and for short periods of time. When done the right way, I have discovered, it will allow you to experience remarkable mental clarity and a pleasantly refreshed physical state. This is the fifth and last in a series of articles on new fitness and diet trends in Korea. -- Ed.